Children must understand the meaning of a word to help them understand the world around them and stories they read. 2nd grade students should be able to figure out the meaning of an unknown word in a 2nd grade level book by looking for clues in the story, the pictures, or the word parts. 2nd graders are expanding their vocabularies by using dictionaries and thesauruses to find synonyms, or other examples of a word (“Another word for happy is excited, joyful, elated, content.”). They also start learning homophones, words that sound alike but have different meanings (there, they’re, their) and homographs, words that are spelled the same but have different meaning (baseball bat and the flying animal bat). Another goal is for children to build their vocabulary by learning as many new words as they can from life experiences, reading about new subjects and through conversations. When Your Child is Stuck: Should I Tell Them the Word? Reading aloud to your child and having your child reading books on their own is the best way to increase their vocabulary. Books provide words they won’t encounter in everyday conversations, because the language of books is often more complete and formal than talking. A great story also provides context and illustrations to help with learning a new word. Become aware of the language you use with your child. Often parents will simplify how they speak hoping it will help their child more easily understand what they mean. Instead, aim to use “rich vocabulary” and use interesting words and phrases and bold descriptive words. Give your child every advantage and be intentional by being more specific with the words you choose. Your effort will expand their world of knowledge! A child’s vocabulary is mostly made up from the exact words their parents use at home. When reading aloud to a child there will be words that your child does not understand. After reading a page, make sure to ask your child if they understood a word that appeared tricky or challenging. Describe how you figured out the word (“First I looked at the pictures to see if I saw a hint, then I looked at the word to see if there was a clue in the word.”). Explain what the word means in a “kid friendly” way, in words they understand. When you are pointing out new words to your child, make sure they tell you how they understand the meaning of that word. Can they connect this new word to something they have experienced? A child needs to hear a new word about 10 times before they begin to use it in their own vocabulary. Take advantage of opportunities to use the new words they’re learning in your conversations with them. Vocabulary words are usually gathered from different subjects like science and math or stories they’ve read in school. If the teacher sends a note home about the themes for the week, use those words in your everyday conversation. If students are learning about solids, liquids and gasses in science, ask your child to tell you what those words mean. Describe how you’ve used those words. Life experiences are the best new vocabulary lessons. Visiting museums, the zoo, historical sights and even different parks can open up your child’s world to new words. Ask your child questions about what they’re interested in, their friends, their favorite characters from TV shows, and their favorite books. Make eye contact and listen closely as they speak. Take turns when talking with them. As parents, we sometimes can get in a habit of giving instructions but not engaging in conversations with our kids. 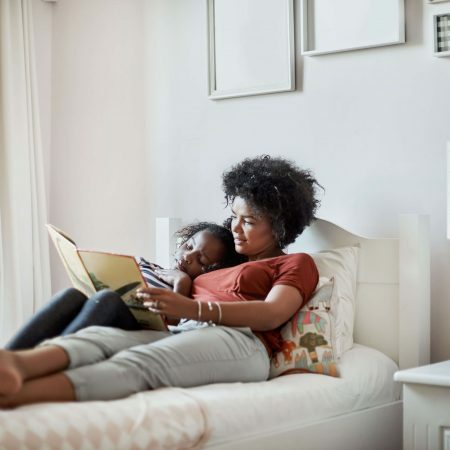 Having meaningful discussions at home helps children develop their vocabulary by allowing them to incorporate the new words they have learned into their conversations. These 2nd grade vocabulary words introduce and reinforce “high-utility” or commonly used words that will help improve their comprehension and overall reading success. Students should aim to understand the meaning of these words, not read or spell them at this age. Use vocabulary games to help build kids’ fluency skills. This will make your child a stronger and faster reader.